Vaccine science has come a long way since the 18th century, when Edward Jenner used pus from a milkmaid’s sore to stop a child from catching smallpox.1 Since then, various vaccines have been developed, and they have subdued many diseases that used to rampage through helpless populations. Even early and relatively crude vaccines dramatially reduced the number of deaths caused by disease. How might today’s increasingly sophisticated vaccines fare? These vaccines, which include synthetic, recombinant, and DNA vaccines, embody the latest insights of molecular genetics and related disciplines, but they may fail to realize their full potential. The problem isn’t in research and development, which has progressed quickly. It is, rather, in production, which simply hasn’t kept pace. Vaccine firms, like firms across the biotech industry, want new production methods out of a desire for efficiency. More effective platforms have the potential to reduce the cost of goods and shorten time to market. But there are also other, more vaccine-specific issues driving the search for novel technologies. Sanofi, though its subsidiary Sanofi Pasteur, is one of the world’s largest vaccine suppliers. Kressmann sees the need to accelerate production in line with growing demand as a major manufacturing innovation driver. “It takes between 6 and 36 months to produce, package, and deliver high-quality vaccines to those who need them,” he observes. “It includes testing each batch of vaccine at every step of its process, and repeat quality control of batches by different regulatory authorities around the world. One of GE’s solutions has been to develop what it calls turnkey facilities. The company claims that these complete, out-of-the-box manufacturing platforms reduce production lead times. Innovation also gives vaccine firms a chance to reduce costs, says Janice Paquette, head of bioprocessing, segments, process solutions, MilliporeSigma. “A central part of MilliporeSigma’s mission and corporate responsibility program focuses on finding cost-effective ways to accelerate vaccine development and manufacturing,” she says. “Our approach includes collaborating with leading research institutes to introduce new technologies that will advance the global vaccine industry as a whole. In monoclonal antibody (mAb) production, many operations have been standardized. CHO-based expression systems, for example, are used by many developers, and the technologies required to use them are widely available. Lack of standardization means higher production costs and, ultimately, higher prices. This is a problem because, to be of maximum benefit, vaccines need to be accessible to as many people as possible. But Paquette believes this will change as technologies used in other fields are adopted by vaccine developers. “The recent surge in interest for viral gene therapies is likely to benefit a viral vaccine, as newer platforms are developed for virus production,” she says. This view is shared by Annelies Onraedt, PhD, marketing director, Pall Biotech, who says manufacturing technology advances in other fields have application in vaccine production. “As continuous manufacturing approaches are starting to break through in mAb processing, we also see there is much promise for their application in viral vaccine manufacturing,” she notes, “both in cell culture and in downstream processing. Which came first: the chicken or the egg? The answer to this famous paradoxical question, as anyone with even a basic grasp of evolutionary biology will tell you, is the egg.3 And eggs also come first in influenza vaccine production, or at least they do at the moment. Most commercially available influenza vaccines are produced in hen’s eggs.4 Candidate viruses are injected into eggs, allowed to replicate, and then harvested. The viruses are then inactivated, and their antigens are purified and used to make the vaccines. While this process is effective—it has been used to make influenza vaccines for 70 years—in the past decade, there have been efforts to culture viruses in the petri dish. One of the big concerns is that a pandemic affecting hens may one day limit the supply of eggs. 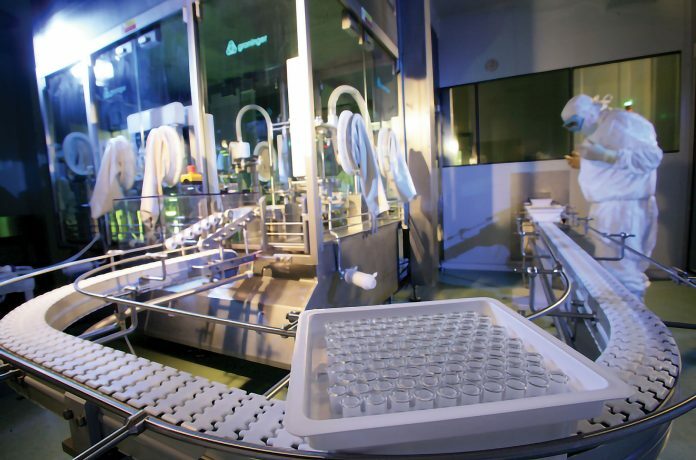 Although some progress has been made in cell culture–based production,5 the high costs associated with the approach have limited its adoption. But cell culture flu vaccine production is being reassessed, says Morgon from Univercells. Single-use technologies are also helping the vaccine industry to address another of its biggest challenges, namely, the need for sterile filtration. Sterilization is challenging in vaccine manufacturing, particularly if the product involved requires an alum-based adjuvant. The size of the alum component makes sterile filtration impossible, which means many final vaccine production steps need to be done in aseptic conditions. 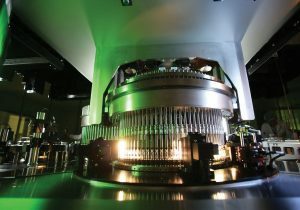 Manufacturing innovation will revitalize the vaccine sector, declares Diem Tran, spokesperson for Vaccines for Europe, a sector group of the European Federation of Pharmaceutical Industries and Associations: “Innovation drives significant improvements in discovery, development, manufacture, and delivery of vaccines. New technologies improve and will continue to control of these complex manufacturing processes and increase robustness and accelerate quality controls.